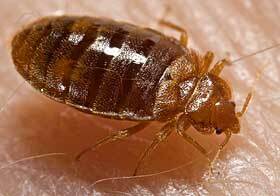 If you want to get rid of bedbugs you will have to use more than one approach. Here are the techniques professionals have used to get rid of these pests in apartment buildings. It takes a multi-tiered approach. No single solution will solve the problem. Some blog posts and news articles have been misleading in that respect. Currently, bloggers and reporters are touting the benefits of Chlorfenapyr, citing the results seen in scientific studies. They fail to mention the details. In one of the recent studies, the tests were conducted in laboratory, not real-life settings. Even the researchers admit that the pesticide is not immediately effective. They consider it an option for treating the more resistant bugs. The powder residue left behind by the spray continues to be toxic for over four months, indicating there could be a continuous reduction in the bedbug population over time. In the real world, the powder would be wiped off of surfaces or vacuumed away in a very short period of time. No one goes without cleaning or vacuuming for four months. The residual powder could be useful in areas where there is little human activity; between the walls, in the basements and in tiny furniture crevices where the bugs usually hide. But it is not a comprehensive solution. The techniques professionals use to get rid of bedbugs include the use of Chlorfenapyr or diatomaceous earth. A safer alternative, diatomaceous earth is basically non-toxic. It works by dehydrating the insect’s outer skeleton. It would have no effect on humans. Chlorfenapyr is toxic to living cells. The majority of the research concerning toxicity has focused on birds. Birds that eat bugs exposed to the insecticide die. Anything that kills an insect or a bird could be dangerous to humans, especially children. One study concerning how to get rid of bedbugs compared the effectiveness of chlorfenapyr to diatomaceous earth. The study showed that the treatments were equally effective. The use of numerous techniques has proven to be effective in eradicating the insects in 10 weeks or less. So far, there does not seem to be any immediately effective treatment. It takes time, patience and money. The treatments used on an apartment building in Indiana cost over $400 per apartment. The first step is steam cleaning. Exposure to temperatures exceeding 115 degrees Fahrenheit will kill an adult bug after about seven minutes. Delivering the hot steam to their hiding places is the challenge. Items that cannot be steam cleaned are vacuumed in order to get rid of bed bugs in the adult and larval stages. High power professional-grade vacuums are used. Bags and filters are changed frequently in order to capture as many insects as possible. Following the super-cleaning, traps can be placed under bed legs, sofas and other furnishings. The devices work in a variety of ways to attract and trap the bugs before they can get into bedding or sofa cushions. The next step used by professionals is to encase mattresses and box springs in plastic. This prevents the bugs from hiding in cracks and crevices. Any insects not removed from the mattresses by cleaning and vacuuming are trapped inside the plastic and will eventually die. In the Indiana trial mentioned above, all of the professional steps were used to get rid of bedbugs in 16 apartments. After 10 weeks, the steps were 100% effective in only 8 of the apartments, although there was a reduction in the insect population in all 16. Purdue researchers suggest that the use of traps or interceptors plays an important role in determining the existence of an infestation and reducing the population numbers. Trained dogs can be used to detect the presence of the bugs and to sniff out their hiding places. We are learning more and more about how to get rid of bed bugs. The increased incidence of infestations in major cities has drawn the attention of researchers from around the world.